We rent custom fit touring bicycles to do-it-yourself cyclists touring France by bike. Fine-tuned bicycles, quality cycling equipment, optional bicycle add-on accessories and expert advise are all available here. Count on getting a great fit and personalized service from start to finish. Our shop in central Lyon is just minutes to the picturesque ViaRhôna and the Saône Valley international cycle routes. French Alpes and prestigious wine regions are easily accessible from Lyon as well. Our knowledge of the regional cycling network can really help you plan your next great bicycle getaway. My wife and I arrived , we biked during a whole week under rough conditions without any kind of problems (good gear!). Futhermore we recieved an excellent service. Mr. Grignon possessed a large amount of patience he contributed decisively to the success of our holiday. You may remember me. The Australian woman who rented one of your bikes in 2014 to ride to Santiago de Compostela, and then I loved the orange Maxx bike so much I bought it from you. We arrived in Lyon from USA to start our tour. Scott at veloStrada could not have been more helpful. The service was first class and Scott delivered on all he promised. Thanks Scott. The trip has been amazing, I have biked around 1300 km. …Once again thank you for helping make this trip and dream of mine come true. This label certifies that we uphold the quality of service standards set by the national bicycle tourism board. Find out more here. WHY, IT’S A GREAT FIT! 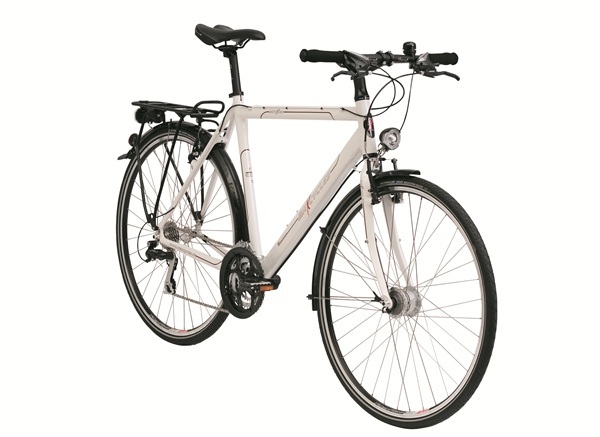 We start with high quality, fine-tuned hybrid bicycles and equipment designed for loaded touring. 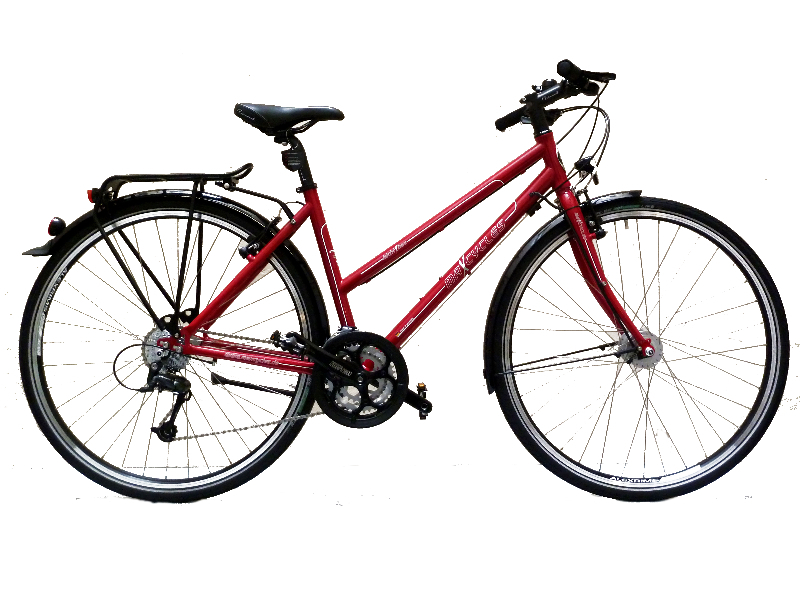 Then, take all the time necessary to adjust each bicycle to your size and riding style. Optional accessories can easily be added, even ones you bring from home. If you find that our rental service doesn’t live up to your expectations after a test ride on our bikes, we’ll refund your reservation deposit – no questions asked.